With the OMNIUM brewing process development, ZIEMANN HOLVRIEKA combines century-old brewmaster knowledge with state-of-the-art high-tech equipment. The result is a brewing process designed with the highest degrees of freedom. It can be easily selected, for example, the type and time of hop addition, the grist composition, first wort concentration or boiled wort volume. In addition, it allows shorter process times and high raw material yields. OMNIUM by Ziemann was implemented for the first time in 2018 in a new brewhouse. The medium-sized Schlossbrauerei Reckendorf in Franconia took over this pioneering role. The following article provides a technological portrait of OMNIUM and includes the first practical results. Already presented at the BrauBeviale 2016, the mash filtration system NESSIE by Ziemann represents the core component of every OMNIUM brewhouse (Fig. 1). This novel lautering process takes place in the transition from the mash tun to the wort kettle and consists of filtration and simultaneous extraction in counter flow allowing the surrounding processes to adapt simultaneously, which in turn reduces brewing time significantly. Currently, a NESSIE system with four rotating filter modules, each with a diameter of one meter, is used in Reckendorf. NESSIE can process very high wort concentrations of up to 32° Plato, as well as various starch sources resulting in high yields. Thereby, the influence of the grist composition is insignificant to this form of lautering work. Schlossbrauerei Reckendorf was therefore able to continue to operate its existing mill. By means of a switch in the pipe, the grist is transferred to the new mash tun kettle, equipped with an agitator COLIBRI by Ziemann, which can easily process highly concentrated mashes. In Reckendorf, about 60 percent of the lautering volume flows directly into the wort kettle, where it is processed to an unhopped boiled wort. In order to have the maximum flexibility in terms of the brew sizes, the wort kettle was equipped with an external boiler. Brews ranging from a total cast-out wort volume of 30 to 95 hl can be produced without compromising quality. The remaining 40 percent of the lautering volume is fed to a second boiling vessel, the system for separate hop isomerization JANUS by Ziemann. Because the hopped wort is not boiled, but just kept hot; the evaporation is in the range of one percent. Only the NESSIE wort fraction, whose extract content has dropped to about 2° Plato, is specifically used for hop isomerization. Compared to the boiled wort, this fraction has a slightly higher pH value, known to be advantageous for the alpha acids isomerization process. This wort fraction also contains important minerals such as magnesium, but less protein, which in turn reduces the amount of trub formed. The measured hop yield is higher due to these factors. 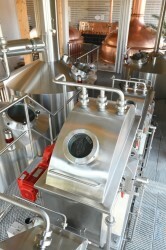 The produced hop extraction wort can be dosed subsequently into the wort kettle, whirlpool or to the wort upstream from the plate heat exchanger. It can even be added as highly efficient and sterile hopping in the fermentation and storage cellar. This verifies JANUS’ high technological freedom. The two wort fractions, unhopped wort and hop extraction wort, are brought together in the existing whirlpool of the Schlossbrauerei to be completely saccharified by means of ALADIN by Ziemann. ALADIN is essentially an insulated vessel. About one percent of the lautered wort from the first NESSIE wheel is transferred to this vessel at the very beginning of the filtration process and stored temporarily at about 72 to 75° C. After the wort boiling process in the wort kettle and subsequent cooling to about 80 to 85° C, ALADIN wort with active amylases from the malt is added just upstream the whirlpool. This wort completely saccharifies the dextrins, which are released during the wort boiling by the degradation of the lautered starch particles. The amylases are subsequently inactivated in the whirlpool after saccharification due to the high wort temperature of 80 to 85° C. The final wort is transferred to the fermentation cellar after the hot trub separation. 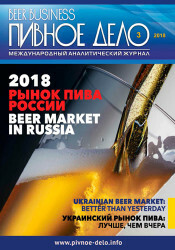 It is worth stating, that the high contents in yeast vital substances in OMNIUM wort, such as zinc or fatty acids, have a continuous and positive effect on the fermentation process. In early April 2018, the first brew in the new brewhouse in Reckendorf was produced. Instead of the original two brews per day, each with 105 hl cast-out wort, the OMNIUM brewhouse is able to produce three brews per day with 70 hl each, filling the 210 hl fermentation tanks. Wort from both brewhouses (conventional with lauter tun and OMNIUM) was compared and analyzed from the technological and process point of view in order to evaluate the OMNIUM process. The mashing time in the OMNIUM system was 35 minutes shorter with 105 minutes duration compared to the 140 minutes mashing time on the lauter tun brewhouse. The lautering time with the NESSIE system was 50 minutes compared to the lauter tun with an occupancy time of 165 minutes. The lauter tun brewhouse in the Schlossbrauerei Reckendorf needs for wort production in total eight hours from the mashing-in up to the end of the wort cooling. With the new brewhouse concept, the entire process is reduced to 5.25 hours, which corresponds to savings of 165 minutes or 34 percent (Fig. 2). The tanning agent content in the kettle-full wort is significantly lower in OMNIUM compared to the lauter tun brewhouse. 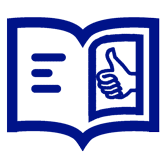 Polyphenols, anthocyanogens and tanning agents are in average 50 percent below the reference values (Fig. 3). This is mainly due to the very short residence time (three to five minutes) of a mash particle in the NESSIE system. In contrast, in the lauter tun brewhouse, tanning agents, husk bitter substances, dyes and silicates are progressively washed out of the husks. This is not the case for the NESSIE system, which has a short residence time, and is evident by the lighter wort color measured from kettle-full worts. The prevailing steam atmosphere in the NESSIE wheels, which prevents oxidation, enhances this effect. The bitter units of the cold wort were adjusted to 24 BE in the OMNIUM as well as for the lauter tun brews. However, these bitter units were achieved in the lauter tun brewhouse with an alpha acid dosing of 57.1 mg/l but only with 50.0 mg/l alpha acids in the OMNIUM brewhouse. This results in a hop yield, all the way to the cold wort, of 42 percent in the old brewhouse and 48 percent in the OMNIUM brewhouse. 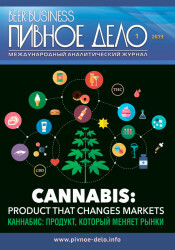 In total, 7.1 mg/l less alpha acids can be dosed to achieve the same bitter units, which corresponds to 13 percent savings and an extremely attractive economic aspect. Also in terms of the malt, the yield is more than one percent higher with NESSIE. This is noticeable in the low remaining extract in the spent grains, which is well below the standard values of MEBAK (Fig. 4). The highly efficient washing in the NESSIE generates strikingly low photometric iodine values (0.06) in the spent grains. This means that the NESSIE separation technology also washes out the starch grits, which normally remain in spent grains. The photometric iodine value of 1.53 in the kettle-full wort is therefore correspondingly high. By dosing the wort from ALADIN, the iodine value of the cold wort is again very low with a value of 0.18. By means of ALADIN’s post saccharification, fermentable sugar is produced, which contributes to the increased yield. 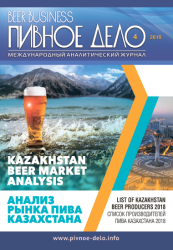 In addition, with these low iodine values filtration problems, associated with insufficient saccharification, starch haze or loss of taste are excluded. With the “less sharp” NESSIE separation technology, higher amounts of other technologically important malt ingredients are transferred to the pitching wort, and are not remaining in the spent grains (Fig. 5). The achieved zinc content of 0.38 mg/l in the NESSIE system clearly exceeds, for example, the values of the old brewhouse (0.05 mg/l) and the technologically desired minimum concentration of 0.15 mg/l. The same applies to the long-chain, saturated and unsaturated fatty acids with 1.6 mg/100 ml compared to 0.02 mg/100 ml and the associated increased yeast metabolism. Due to these positive effects, the Schlossbrauerei was able to reduce massively the wort aeration, among other things, in order to keep the yeast growth within the desired limits. Now only one of three brews in one fermentation tank is aerated for ten minutes to achieve an oxygen content of one ppm. 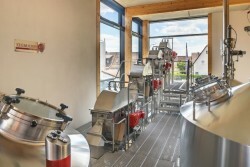 Overall, the Schlossbrauerei Reckendorf achieved a time saving of 30 percent with OMNIUM worts under the same fermentation conditions resulting in an increase in cellar capacities (Fig. 6). Finally yet importantly, the OMNIUM system offers not only the above-mentioned technological aspects but also advantages in terms of the building construction. The OMNIUM brewhouse in Reckendorf has a brewing line with an annual capacity of 120,000 hl and has been built on a net area of only 69 m2 (Fig. 7). For the Schlossbrauerei this was a further positive point in favor of OMNIUM: it was the only way to install the brewhouse in a very compact new building designed for the confined space conditions in Reckendorf. Fig. 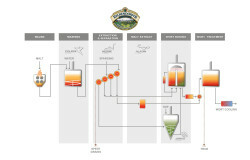 1: Process diagram of the OMNIUM brewhouse of Schlossbrauerei Reckendorf. Fig. 2: Comparison of the occupancy times of the Export type brews. Fig. 3: Comparison of the content of tanning agents in the kettle-full wort. Fig. 4: Spent grains analyses of the lauter tun brewhouse and OMNIUM brewhouse. Fig. 5: Comparison of the yeast vital substances in cold wort. Fig. 6: Comparison of the fermentation process of the Export type wort. Fig. 7: 69 m2 for 120.000 hl – the OMNIUM brewhouse requires a small net area.